With as many as 80,000 people participating and watching, the eighth edition of the World Choir Games was musically outstanding and well organized, the team behind the event said at the closing press conference on Saturday. They praised Riga for being able to handle such a huge influx of people, and congratulated the participating choirs for demonstrating unprecedented artistic quality. “460 choirs, more than 800 competition performances, 71,000 meals, almost 80,000 people to accommodate and thousands of kilometers of travelling – all of this has been very well organized, for which I am very grateful,” said Günter Titsch, president of the German cultural organization Interkultur, which held the event in cooperation with the Rīga 2014 Foundation. The World Choir Games are the world’s largest choral music festival, this time gathering 27,000 participants in 460 choirs from 73 countries across five continents, from July 9 to 19. The purpose is to unite choirs in friendly competition and acknowledge the importance of singing together. Its ten days saw competitions in 29 categories, master classes and seminars, special and friendship concerts, a parade of participants and other spectacular events in Riga’s concert halls and parks. The World Choir Games have been organized since 2000 and are held once every two years. 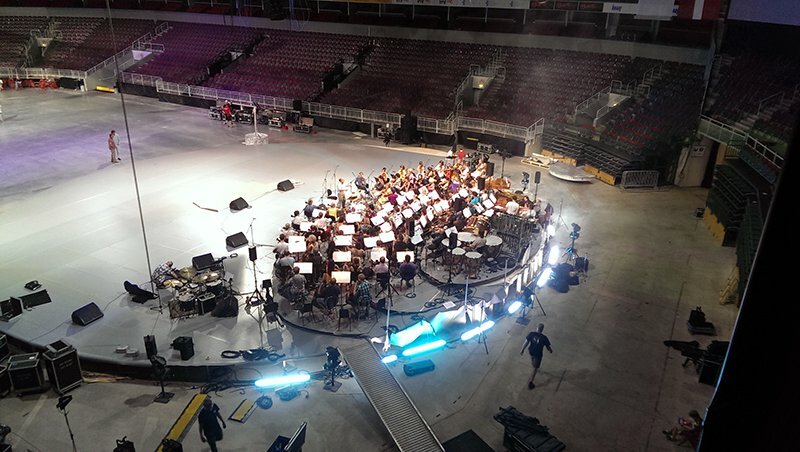 Mr Titsch gave additional praise at that evening’s closing concert, saying, “These were the biggest and best games in the history of the World Choir Games”, his remark earning a standing ovation from the singers crowded into Arena Riga.